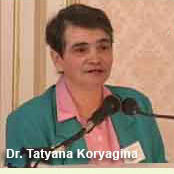 BATTLEFORWORLD – August 18, 2016 (Updated September 4, 2017): Before the attack and destruction of the World Trade Center on September 11, 2001 happened, a Russian economist, Dr. Tatyana Koryagina in an interview published in the Russian language edition of Pravda on July 12, 2001, detailed a scenario that was ominously prophetic, and most likely came from intelligence sources, about a looming disaster being planned for the United States. The Russian State Duma in early July 2001 convened a conference entitled, “The measures to provide for the development of the Russian economy in the environment of destabilization of the world’s financial system.” So evidently, Russian officials had intuition regarding troubles that were ahead. At that conference Dr. Tatyana Koryagina, a senior research fellow at the Institute of Macroeconomic Research an advisory to Russian Ministry of Economic Development, made a statement at the end of the Duma hearings, saying – as a Russian expert in the shadow economy, shadow politics…etc. The theme of the Duma hearings was the forthcoming economic crash of the United States. The discussion focused on preparing recommendations for President Putin as to what steps Russia should take to soften the consequences of this coming catastrophe. Participants at the Duma hearings stated that America is a colossal financial pyramid, on the verge of crashing soon. And that it was difficult to understand how this could happen to the richest country in the world – without a war, without missile or bomb strikes. Pravda: Well, economic theory. But how is it possible for you to give an exact date for the U.S. crash – August 19th? Pravda: These forces intend to smash America on August 19th? Koryagina: There are international, “super-state” and “super-government” groups. In accordance with tradition, the mystical and religious components play extremely important roles in human history. One must take into account the shadow economy, shadow politics and the religious component, while predicting the development of the present financial situation. Pravda: Still I don’t understand what could be done to this giant country [the U.S.], whose budget is calculated in the trillions of dollars. Pravda: Why the 19th of August and, say, not the 21st? I did not make a serious mistake (in my forcast), because between August 15 and 20, the dollar started trembling under the pressure of multiple bad news about the U.S. and world economy. And within weeks, the Manhattan skyscrapers fell down. As a result, a significant part of the world financial network was paralyzed. This strike was aimed at destabilization and destruction of America and all the countries, in domino fashion, that are making countless billions of dollars. The Powerful Group behind these strikes; the U.S. is painting a false picture. (BATTLEFORWORLD: Blaming Islamic terrorists for “masterminding” the Sept. 11th attack on the World Trade Center and the Pentagon, but this is not the truth.) The operation was not the work of 19 terrorists, but a larger group seeking to reshape the world. A group of extremely powerful private persons, with total assets of about $300 trillion, intends to legalize its power and to become the new world government. The Sept. 11 strikes showed that this group is afraid of nothing – human lives have zero value for them.